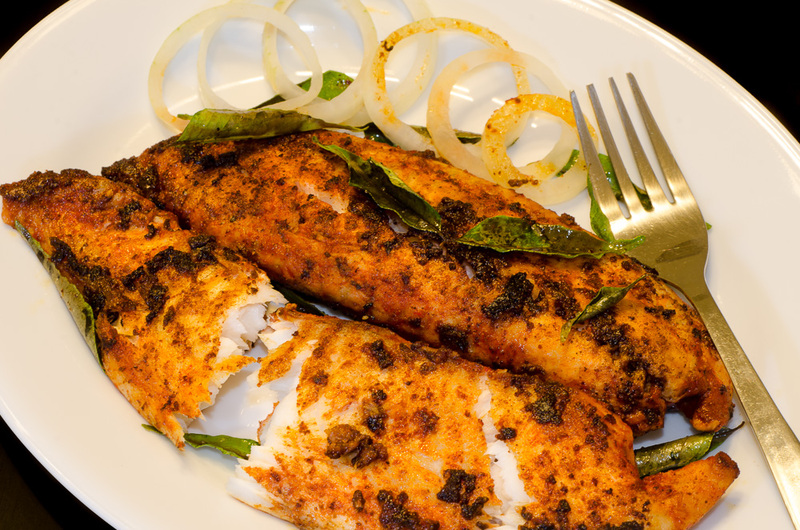 For all Fishtarians out there, this one is Mum’s fish fry (recd chilli masala) which is lip-smacking! You can use any fish of your choice. Here I have used Tilapia. Mix the red chilli powder and salt with enough vinegar to make a paste. Apply the paste to the fish and allow to marinate for about 15-20 minutes. Heat oil in a tava and shallow fry the fish on both sides until cooked. Fish takes lesser time to cook, about 10 minutes. This entry was posted in Fish, Non-Vegetarian and tagged fish, fish dishes, fish fry, fish fry masala. Bookmark the permalink.